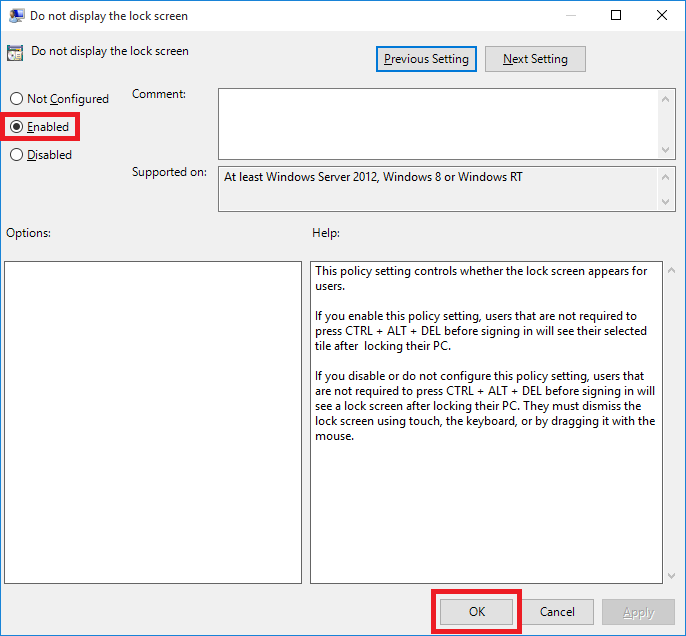 Update: The Windows 10 Anniversary Update (1607) removed the ability to disable the lock screen on Windows 10 Pro editions sadly, this tutorial will still work for enterprise versions of Windows 10, however not on Pro editions if you have updated past Windows 10 1511, released in November 2015. The Windows 10 lock screen makes sense on tablet / mobile devices, however on a desktop PC or laptop the lock screen is just an extra click every time you wish to use your device. 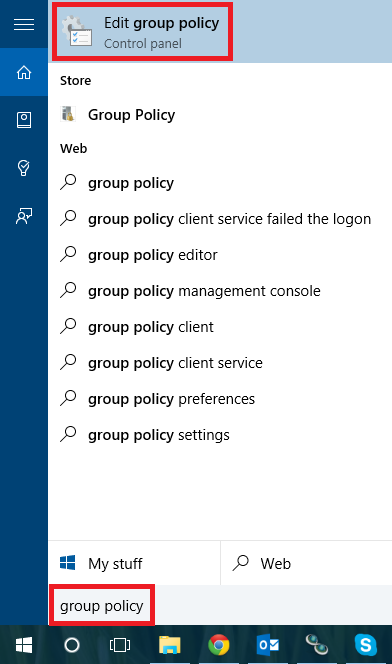 Thankfully the Windows 10 lock screen can be disabled quite easily. On the left menu select “Enabled” then click ok.
Thats it, you no longer have a lock screen on your device. Press the Windows Key + L to lock your device, you will now see you are prompted to unlock the device right away, instead of having to click or press a key to make the lock screen go away. I hope someone finds this useful, easy to do, once you know how! If you want to re install Windows 10 after obtaining the free upgrade you will find that you loose the free copy of the Windows 10 DVD player you were given for upgrading from Windows 8 Professional With Media Center or Windows 7 Home Premium / Ultimate. However fear not, this simple guide will show you how to re-install the Windows 10 DVD player for free! The above downloads link directly to the Windows 10 DVD player on Windows Update, so you can be assured the file is safe. Next you want to make two folders in the root of your C:\ drive called temp and temp2. Copy either the windows10.0-kb3081704-x64.msi or windows10.0-kb3081704-x86.msi you extracted in to the temp folder you just created. 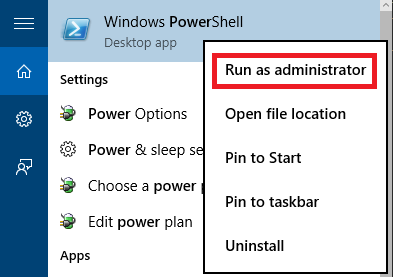 Now you need to open the Command Prompt, this can be done by searching for “Command Prompt” in the start menu. Once the command prompt has loaded type the following depending on the edition of Windows you have. 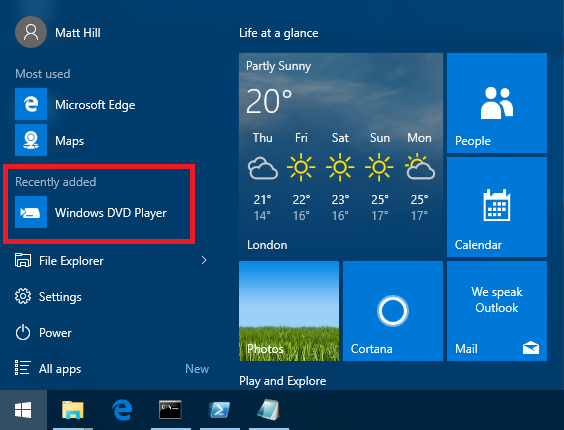 You should now see the Windows 10 DVD player under recent apps in the start menu, if not you should be able to find it by searching for “Windows DVD Player”. 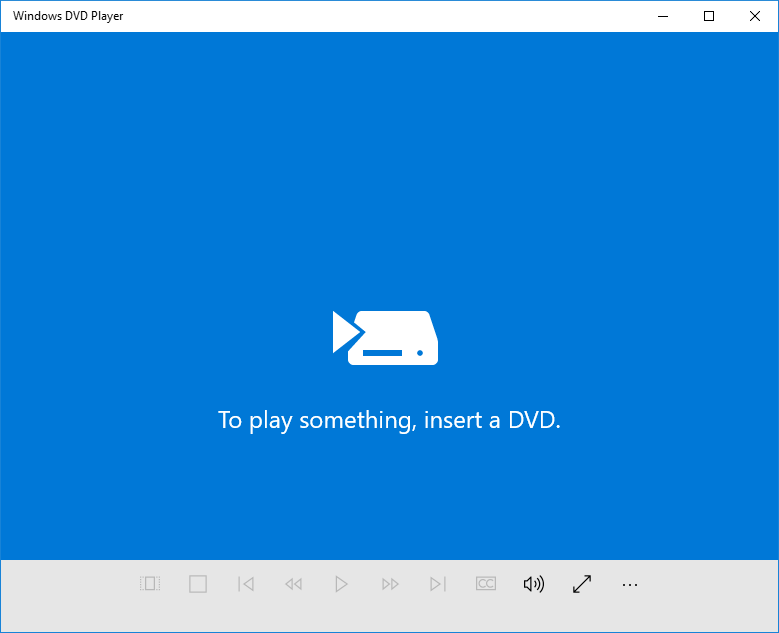 I hope if you have clean installed Windows 10 and wanted to re-install the Windows DVD Player app you found this tutorial useful. I would suggest you also checkout VLC, it’s a media player which will play DVD’s and just about any audio / video file you can think of, without requiring any additional codes to be installed. Best of all VLC is free, and is an Open Source application. Installing Windows 8.1 using your Windows 8.0 key is not as easy as it should be, Microsoft first want you to install Windows 8.0, then upgrade to 8.1 using the Windows Store, then after that install Windows 8.1 Update 1 and any Windows Updates released after that. That is a lot of wasted time both downloading and installing updates, even more so if you have a slow internet connection. However you can simply install Windows 8.1 with update 1 using your Windows 8 key. 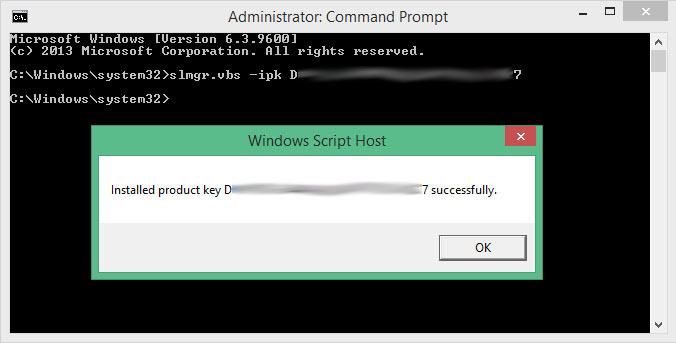 This doesn’t matter if the key is a retail key, upgrade key or OEM key this method will work perfectly fine with Windows 8 Core or Pro Editions. 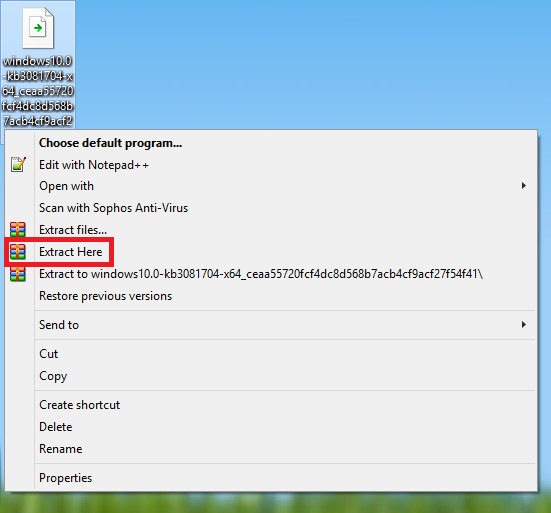 How to install Windows 8.1 as a clean install, without installing Windows 8.0 first. First you need a clean, untouched Windows 8.1 Update 1 ISO, if you have a Technet or MDSN subscription you can simply download the ISO’s from there like I have. If you don’t i have included the file name and SHA1 of the ISO below, along with a magenet link. To download the magnet link in uTorrent simply go File > Add Torrent From URL and copy and paste the magnet link in. Typing the SHA1 Windows 8.1 Update 1 edition you want in to Google should find you a download too. Simply check the SHA1 of the ISO you download to the SHA1 here to ensure the ISO is clean and has not been tampered with. 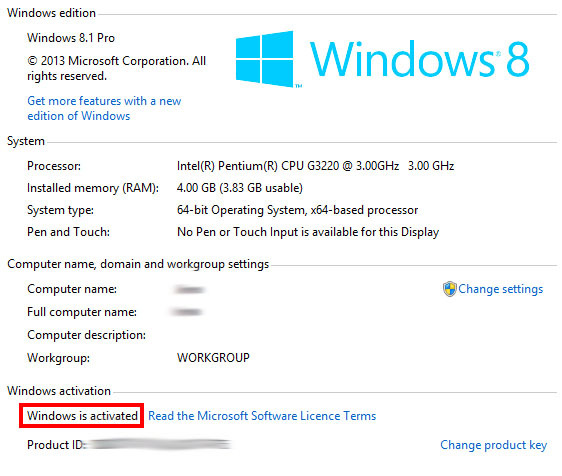 Please note: The above keys will not allow you to activate Windows 8.1, simply install it. That it, you have installed Windows 8.1 with Update 1 and activated using your Windows 8.0 key, saving you a lot of time by skipping hours of downloading and updating. I hope this method saves you as much time as it’s saved me over the last year.